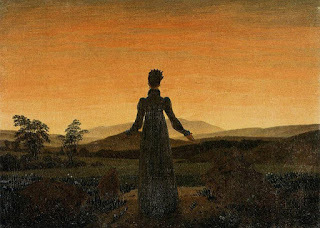 Caspar David Friedrich was a German romantic painter during the 19th century. Renown for his landscapes that commonly feature silhouettes of small watchers looking on to the vast, untamed world around them and the dominance of light and shadow upon a scene. 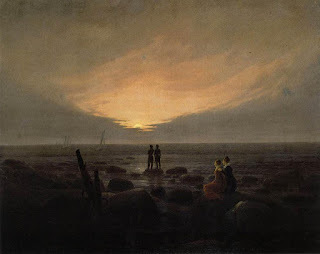 Today he is seen as a world famous painter and his art as a paragon of the German Romantic era. I am drawn to his paintings as I feel it depicts a sense of mystery and wonder at the world before him. That we are very small in a much larger world. The sense of infinity. Biography of Caspar David Friedrich. Goes into detail on his life and sources of inspiration. Artistic analysis of Caspar David Friedrich and well known works of art. More Famous Works. Information about his teachers, friends, and other artists that were influenced by his work.